It’s a new week, which means some new info to help you generate leads. Today, though, we’re going to switch gears from SEO leads and talk about web design leads. While lead generation is pretty basic in terms of there being only a few ways in which to do so, design lead and SEO lead generation are slightly different. 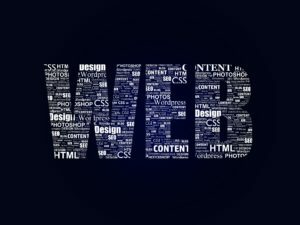 Here are the four best ways to generate web design leads for your business. Well, duh! If you don’t network, how are people going to know about your service? A good place to start networking is within your family and close friends. You can use them as the biggest advocates for your business. Networking and telling your family and friends about what services you offer is a great way to gain leads. The fact that your Aunt Edna is the town gossip can finally work in your favor. Let your friends and family help spread the word about your services. A good place to start is Google. If you’re not on Google…you may be beyond help. This is the first place to search for businesses that don’t have a website. You can capitalize on these businesses and sell your services by assuring that owner that he or she is losing out on certain customers that they could be getting from the internet. We don’t know about you, but there are very few businesses we trust that don’t have a website. This is 2017. Unless your business is a lemonade stand, a website is essential, and many business owners don’t realize it. That’s where you come in. Another area where Google comes in handy is in advertising. You can advertise your business with Google Adwords and pay for specific key words being searched relating to design. According to Beckswebsites.com, “This can also be used with websites such as Craigslist, which people go to, to find certain services they need, whether computer repair or a website design.” In other words, you would be really dumb not to do this. People trusts an expert, that’s a given. Ergo, if you become more of an expert in your field, then people will flock to you for advice and any services you may be offering. People will definitely trust you much more and be willing to pay you to tell them what to do. And who doesn’t want that?